Every year there are certain individual performances that stand out above the rest. Dan Carter produced arguably the performance of the century against the Lions in 2005 while Wilkinson produced a match-winning performance in 2003. Thierry Dusautoir in the 2011 Rugby World Cup Final and the list goes on and on. We have hand-picked the Top 10 from this year and ranked them! There are bound to be performances that miss out entirely like Johnny Sexton in the opening game of the Six Nations this year, with the flyhalf producing a magnificent drop goal to win the match. Sexton may have grabbed the headlines but the win in Paris was more of a fantastic team effort rather than a brilliant individual display. Our list kicks off with a brilliant display by Huw Jones against a few of his former clubmates at the Stormers. Jones' efforts weren't enough to inspire his side to victory. He produced two brilliant offloads in the build-up to Pete Horne's try and was a threat throughout the game against the South Africans. He made 77 running metres, beat 4 defenders, made 2 clean breaks and claimed a try assist. TRY! Pete Horne scores for Scotland against South Africa at BT Murrayfield. A suprise call up to the England squad, Mark Wilson starred in the no.8 jersey for England against tough Springbok squad and is the second player on the list to have featured against the Springboks. He started in the no.8 jersey and bossed the Boks at the breakdown, dominated in the tackles and carried with aggression every time he touched the ball. Wilson made 14 tackles and 11 carries but his work at the breakdown that really stood out as he stifled the Springboks attack and was rightfully rewarded with the man of the match award. 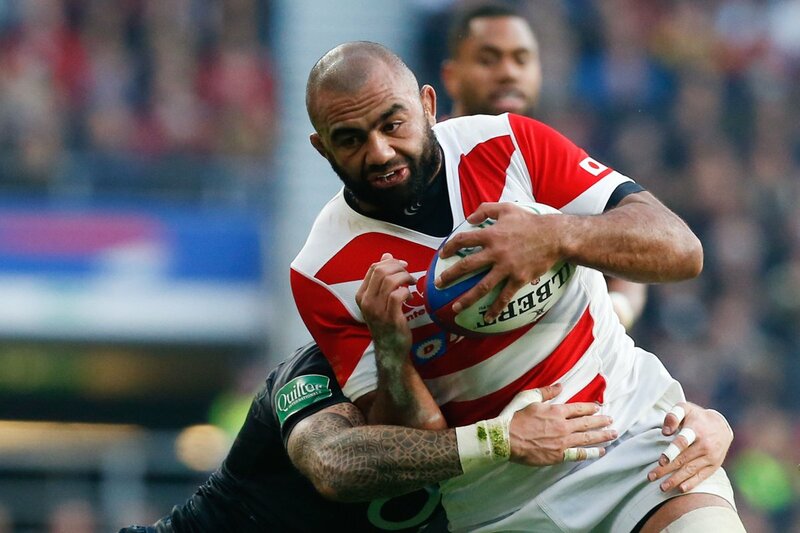 The Japanese captain stepped up to the plate for his side in one of the most iconic stadiums in World Rugby. The former Chief evaded 4 English defenders scored an incredible try as his side took a surprising lead into the break. Leitch wasn't named as the man of the match as Eddie Jones' side fought back in the second half to claim a 20 point victory. Leitch was exceptional in all facets of the game at Twickenham as he showed off his physicality and wide range of skills. Huw Jones and England feature on the list once again! This time they feature together with the former getting the better of the latter. This time he did inspire Scotland to scoring a brace against then the Six Nations Champions. Jones' performances guided Scotland to their first victory over England in the Calcutta Cup in 10 years. He was excellent both on attack and defence as he ripped through the English defence to make 115 runnning metres. He also beat 4 defenders, made 4 clean breaks and made all but one of his 14 attempted tackles. 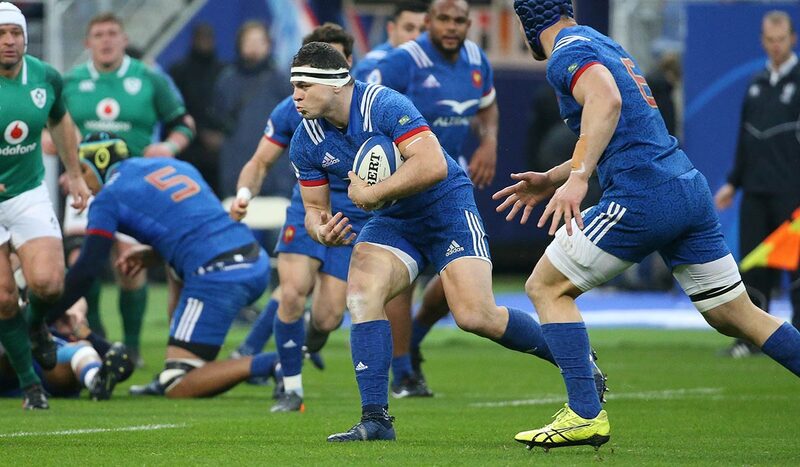 The French captain is another player who produced a magnificent display but still finished the match on the losing end of the result. The 32-year-old made an incredible 31 tackles in 73 minutes meaning he made a tackle just about every 2 minutes. After his substitution, his side was unable to hold Ireland out with Johnny Sexton slotting a brilliant drop goal to win the match after over 40 phases. Guirado's tackle count ranks up there with the highest accumulation of tackles made in a single match. Jack Goodhue had a game to remember as he started his first ever Bledisloe Cup clash against the Wallabies in Sydney. The 23-year-old centre put on an absolute clinic as the All Blacks claimed a fantastic 13-38 victory over their Trans-Tasman rivals. The clash was just his second start for the World Champions. He scored an incredible try, racked up 126 running metres, beat 6 defenders and made 2 clean breaks. Defensively he was solid making all 11 of his attempted tackles. 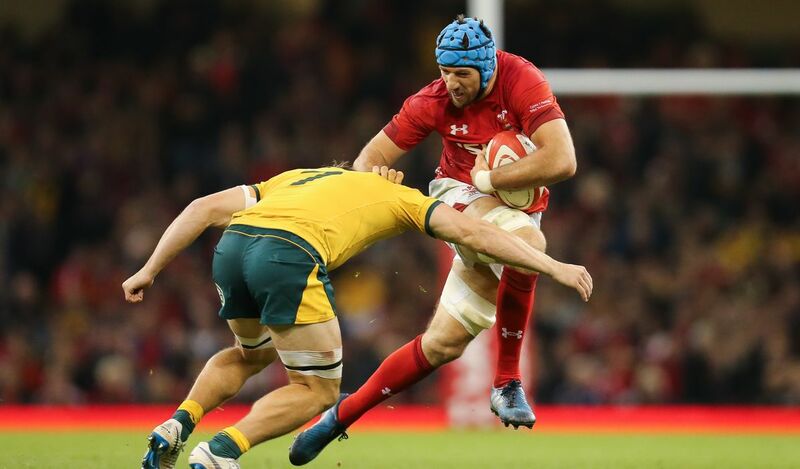 The Welsh Silent Assassin was exceptional against the Wallabies as Wales claimed their first victory over the Wallabies in a decade. Tipuric fronted up against two of the best breakdown specialist in the game in David Pocock and Michael Hooper and got the better of the Wallaby pair on the night in Cardiff. He put on a breakdown masterclass stalling the Wallabies attack and was rightfully named man of the match. He also made 20 tackles in the game missing just one and made three clean turnovers - not including the pilfers. 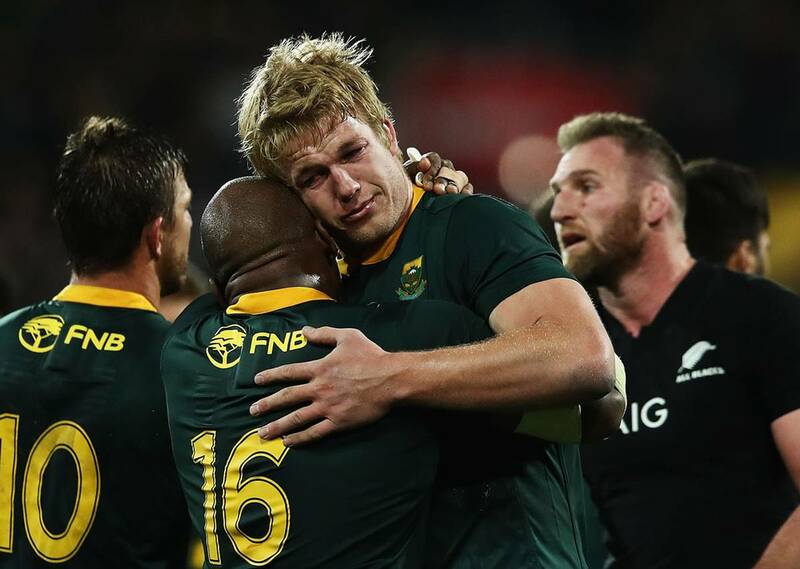 The Springboks were always going to need something special to topple the World Champions in their own backyard and Springboks' flanker Pieter-Steph du Toit stepped up and produced something simply sensational. The 26-year-old had the game of his career to date and his efforts were outlined after the game as he broken into tears displaying how much that win meant to him and his fellow teammates. He was incredible in all facets of the game from lineouts to the breakdown to defence. Du Toit wasn't the only player who had an outstanding game against the All Blacks with him and Franco Moster setting a new Springbok records. 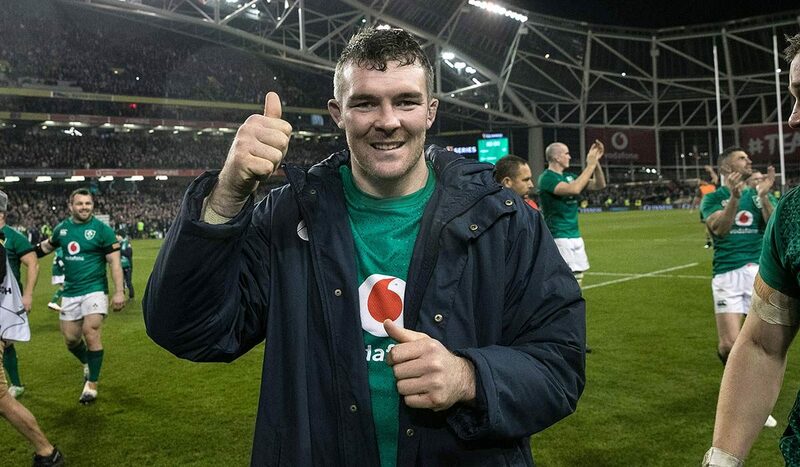 Peter O'Mahony's heroic efforts against the All Blacks comes in a respectable second place, highlighting how special the performance taking top spot was! The Irish blindside flanker was nothing short of sensational against the World Champions, stopping a number of certain tries for the All Blacks. His performance against the All Blacks was praised across the world. O'Mahony was excellent at the breakdown and scrammbled well on a number of occasions to keep the All Blacks try less. Something truly incredible was needed to oust Peter O'Mahony for top spot in our list of the best individual performances in test rugby this year. And unsurprisingly Beauden Barrett nabs top spot with a performance that no adjective can properly capture. However, his performance can be described in the records he broke! 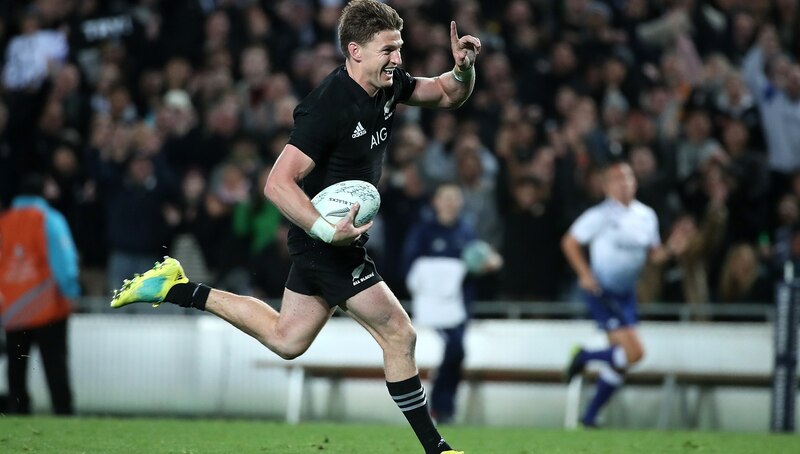 Beauden Barrett's tally of four tries is the most by an All Black against Australia. He equalled the famous haul of Greg Cornelson at Eden Park 40 years ago. He also broke Andrew Mehrtens’ record for the most points scored against Australia in a single match. Barrett also became just the 4th All Black to score more than 500 test points after Dan Carter (1598), Andrew Mehrtens (967) and Grant Fox (645). A truly remarkable performance by the All Blacks playmaker with the performances drawing comparisons to Dan Carter's masterclass against the British and Irish Lions in 2005.